DG TAKANO Co. Ltd. aims to “actualize the harmony of human and earth with knowledge and breakthrough” by leveraging all strength within the multinational team. Our first product, Bubble90 is the ultimate water saving nozzle which saves up to 95% of water usage. The invention of the first technology in the world, led by “thinking outside of the box,” enabled to increase both washability and water saving rate. Not only the function and technology was enlightened, but also the fast-growth of the company and our potential to have a great impact on drought issues in the world were recognized. 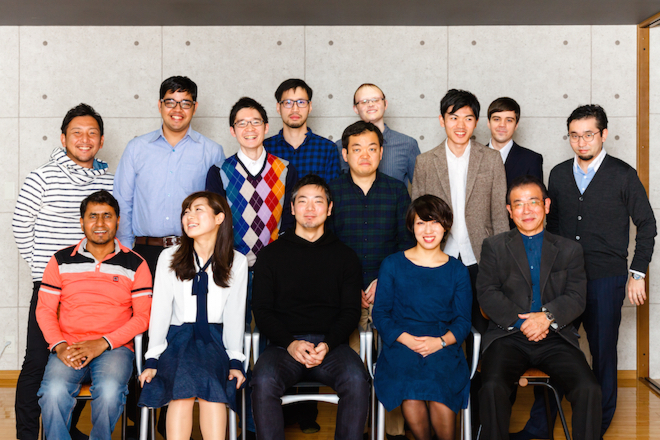 We, therefore, were chosen as the best startup for work for in Japan on the year 2015. We aims to solve social issues by designing innovative product, system and services, and by the integration. In order for us to come up with ideas which solve social issues, we need “imagination” which enables us to draw the new world, “inspiration” which enables us to think outside of the box, and “analytical skill” which enables us to have an insight of finding the essential issue. Through design thinking process, we utilize each skills and embody ideas in business models, and seek to breakthrough each walls of social issues. We, therefore, start “project design internship” from this coming April in order to nourish the power to solve issues. Through design thinking process, our own trainings and knowhow, we will exploit participants’ ability in order to increase the number of human resources who can solve social issues.